Bloomberg’s anti-gun movement has been frustrated in many states, except Oregon has recently tilted in his favor. It should be no surprise, then, that Everytown outspend pro-gun rights groups 10 to 1 there too. The other side wants to talk about the well-funded “gun lobby,” but reality is that Bloomberg can outspend us election after election if he really wants to, and money talks. If we don’t match Bloomberg’s cash with real and sustained grassroots energy, he will end up being able to successfully buy legislation, as he succeeded doing in Oregon. That’s a great pep talking video, except that he can do a hell of a lot of damage with his money. We have to match it with grassroots energy more than cash. NRA only has so much money it can spend in a state in an election year, and Bloomberg has been carefully targeting states he thinks his money can make the difference. The question is whether it makes sense to bite and throw everything at the states Bloomberg has targeted, or stick to making things better in states where we have a definitive grassroots advantage. I’m taking to reminding people that the NRA is in large part member-driven. In Oregon, especially, Bloomberg can outspend the NRA because the NRA just doesn’t contribute that much here. Why isn’t the NRA more active in Oregon? Because the NRA doesn’t have a whole lot of membership or grassroots support here. 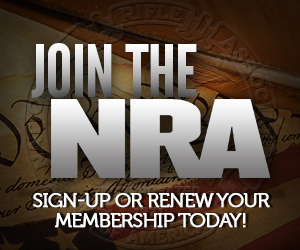 Get the local membership count and grassroots support up, and the NRA will come to bat. They are not going to spend their limited resources here unless the support base is established first.